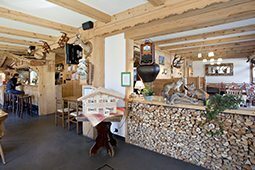 Morgins is centrally located within Portes du Soleil and has an unmistakably Dutch feel to it. The village is famous for its fabulous views and the absence of any high-rise buildings helps create a pleasant, rustic atmosphere. Morgins has a compact town centre with 2 supermarkets. 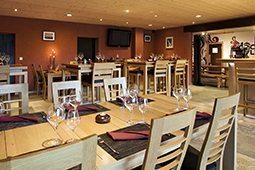 There are 3 ski schools in the village and plenty of cafes to suit all tastes: from hip and trendy to homely and traditional. Put quite simply, there is something for everyone in Morgins. The village is located at the very heart of Europe, close to Geneva (90 minutes), Lausanne (50 minutes), Montreux (30 minutes) and Milan (3.5 hours). It lies in mountainous, wooded terrain 1400 metres above sea level on the French border. Morgins boasts a wide variety of architectural styles, which gives it a somewhat rambling appearance. 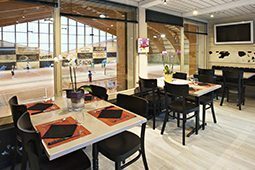 In the summer you can enjoy many activities in the area, such as visiting the local markets and the Buvettes d’alpage or tasting local products at the farms in the region. The area is also a walker’s paradise, with over 800 km of pristine and unspoilt paths. Other summer activities include mountain biking (incl. an 80 km enduro tour), a trip to the swimming poll, with its enormous sunbathing area, and horse riding. In the winter you find yourself right in the middle of Portes du Soleil. This skiing region boasts 650 km of challenging pistes that crisscross the Morzine, Abondance, Avoriaz, Champoussin and Les Crosets resorts. For more information contact the Office de Tourisme. Like to dine outside the hotel for a change? 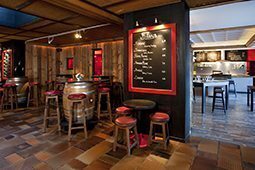 Below are eight tips covering the wide range of places to eat in Morgins. A terrific restaurant with a varied menu and fabulous views. Perfect family restaurant. Fine decor and great menu. Cosy restaurant famous for its meat and cheese fondues. A more up-market restaurant with fabulous food. Famed for its fresh food and great service. 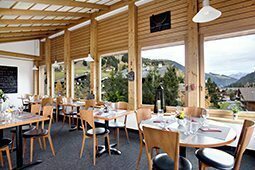 A typical Swiss restaurant with a tasty and varied menu. Perfect for all the family and with a large selection of pizzas. Great location and terrific BBQ. Morgins is part of the international ski sports destination that is Portes du Soleil. You will have the world’s largest linked skiing area right on your doorstep: two countries, 14 resorts, 650 km of piste at all grades of difficulty, and almost 200 ski lifts. Not to mention snowparks, half-pipes, Boarder X and snowcross, and hundreds of kilometres of freeriding. And, best of all: just one ski pass for everything. Portes du Soleil has so much to offer, you just have to experience it for yourself. But the region is famous for more than just its ski sports. The good neighbourly relations between France and Switzerland, and the hospitality of the locals, are just as much appreciated by visitors. Each resort offers its own identity and unique range of activities. Whether you’re a novice or expert skier, magical vistas await. Wintersports of all kinds have a rich history here. You can cross the Franco-Swiss border on skis or snowboard, on the piste or a cross-country route, on a winter hike or even a paraglider. The traditional mountain huts can offer the warmest of welcomes. 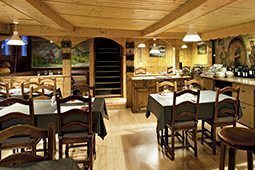 Follow the Pass’Gourmet for outstanding examples of Valais and Savoyard cuisine served in romantic lodges. To get the most out of your stay, we recommend booking a guide who knows the area like the back of his hand. You can find one at the M3S Morgins Ski & Snowboard School. 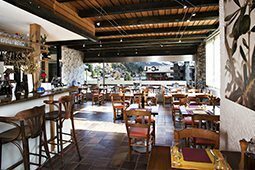 Fancy a light snack or an extensive lunch to break up your day’s skiing? 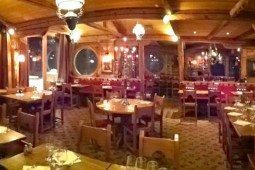 We recommend restaurant La Réserve in Avoriaz. Warm up by the cosy fireplace after a busy day in the fresh air. Chez Jan is within walking distance of the main Foilleuse ski lift. This chairlift transports you directly to the vast 650 km ski area. Not yet an experienced skier or snowboarder? In the summer, Portes du Soleil is the cycling Mecca of Europe, and Morgins lies right at its heart. For beginners and experts, for downhill endurance racing or gentler e-bike excursions – one thousand kilometres of bike trails and 24 mountain railways offer something for everyone. The downhill trails in Morgins are the best in the region, while the village’s pump track was one of the first of its kind to be built. The Snowline bike shop, in business already since 1987, specialises in mountain bike hire, and from May to September offers professional workshop facilities. Join an 80-kilometre enduro mountain biking tour. Go for a walk in the surrounding area with its 800 km of scenic walking trails. Or, why not take part in the Tour des dents du midi. Who says that you can’t go skiing in summer? At Zermatt you can ski all year round! You can also play a round of mini golf at Crystal bar, à Coté de L’Église. There are several golf courses nearby: Aigle (20 minutes), Evian (45 minutes), Sion (45 minutes) and Crans Montana (60 minutes). If you want to go swimming then visit the outdoor swimming pool in Morgins, Les Bains de Lavey, or at the Aqua Park in Le Bouveret. Chez Jan is a luxurious Boutique Hotel. We want our guests to feel at HOME at Chez Jan. Everything is geared towards catering to our guests’ needs!